What are the Predicted Reach and the Estimated Key Figures? In this article, you will learn more about the Predicted Reach and Estimated Key Figures, two useful functionalities for retailers creating Nosto Custom Segments. 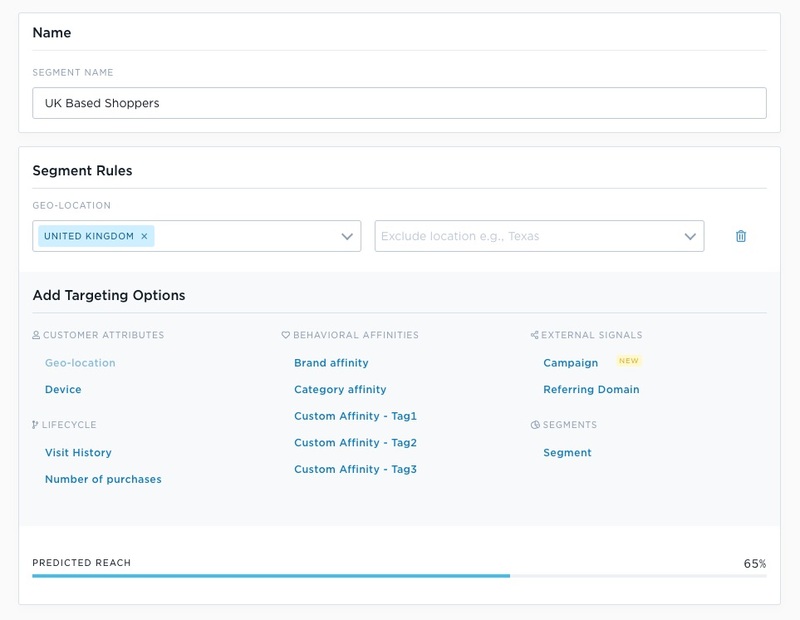 When you create a Custom Segment, you can add one or multiple targeting options. As soon as you select a targeting option and input a value, Nosto provides a Predicted Reach for the segment. The Predicted Reach gives you an estimate of the percentage of visits who will match the rules of the segment. 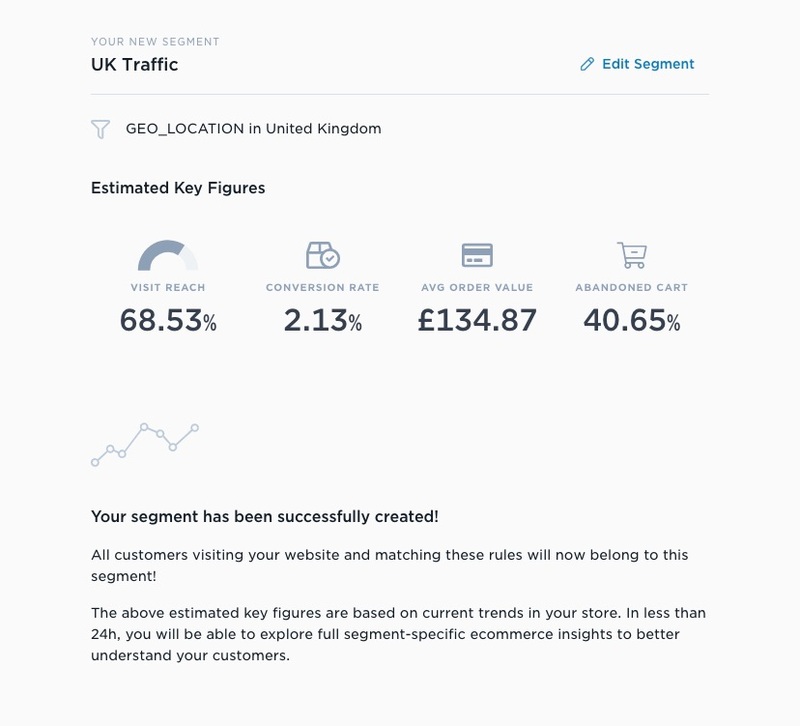 In the example above, around 65% of the visits will match the rules of the segment. While a Predicted Reach is available at segment creation time, we always recommend to save a segment and wait for the Segment Insights to be fully available for data accuracy purpose. Indeed, a sample of visits never represents the diversity of the entire population of a given segment. In some cases, it's possible that a Predicted Reach is not available. It depends on the combination of targeting options set. When a new segment is created, it's available in the segment listing view and some Estimated Key Figures are available. Similarly to the Predicted Reach, the Estimated Key Figures are based on a sample of visits matching the rules of a segment. Within less than 24h, full Segment Insights will be available.